Implement various policies and programs approved at local, national and international that focuses on women empowerment through community participation in collaboration with various agents such as government and other women development stakeholders. BUILDING EQUALITY created a Home page. 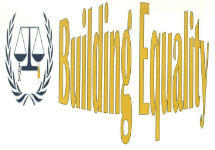 BUILDING EQUALITY added 2 News updates. BUILDING EQUALITY updated its History page. BUILDING EQUALITY has a new discussion about Give now. BUILDING EQUALITY added a News update.